Posting: "Recruiting infants for developmental autism study"
Researchers at the UCLA Center for Autism Research and Treatment (CART) are looking for families who have a child with autism and are expecting a new baby. The study involves non-invasive MRI, EEG, eye-tracking, and behavioral assessments in order to identify signs of autism in the first year of life. Participation in this study involves visits at 1½, 3, 6, 9, 12, 18, 24 and 36 months. Families will receive valuable feedback on their infant’s developmental progress, as well as $50 compensation for each visit. The study is expected to help identify children who will benefit from intervention very early in development when treatment is known to have the greatest impact. Participating families will receive developmental feedback reports at 1, 2, and 3 years old, close developmental monitoring of their newborn, and free early intervention if there are signs of developmental delay. There is no cost to participate in this study and medical insurance is not required. Families will receive valuable feedback on their infant’s developmental progress, as well as $50 for each study visit. 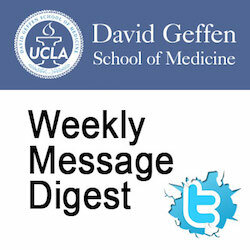 For more information, please contact us at (310) 825-3478 or enosco@mednet.ucla.edu.